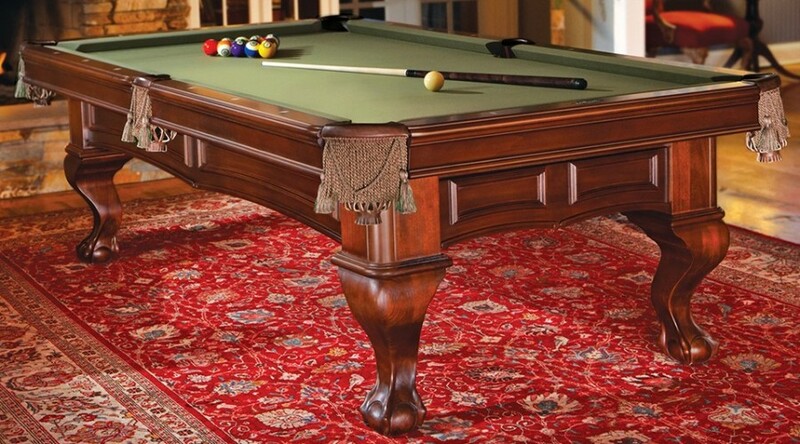 An elegant, solid wood table, the Westcott features two hidden storage drawers. 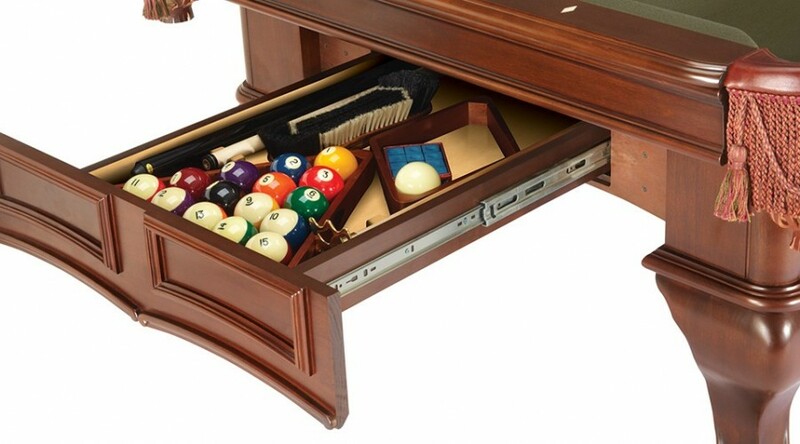 Perfect for keeping everything organized, it is also great where space is limited. 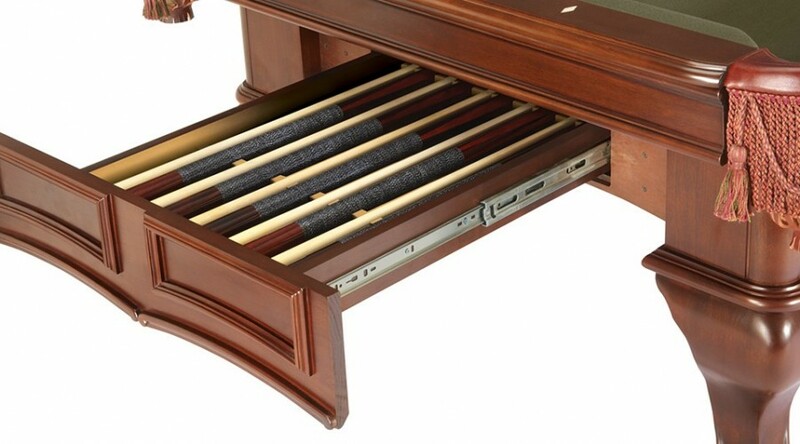 One drawer is ready to hold up to five full-size cues and the other will hold all of your accessories including pocket balls, table brush, 8-ball and 9-ball racks, bridge, and shorty cue. 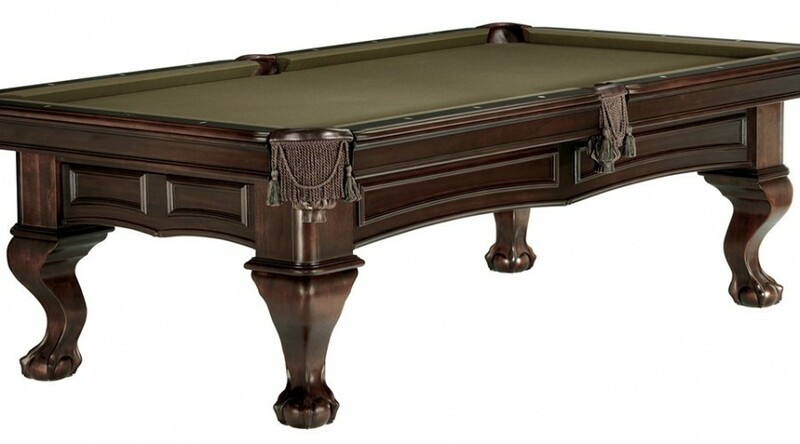 Made of select hardwoods, features ball and claw legs, fringe pockets, and is available in two finishes.